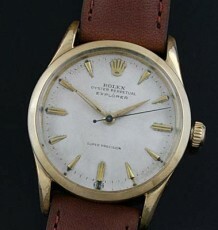 Solid 18K gold ladies Rolex cocktail watch with rare case and spectacular lugs. 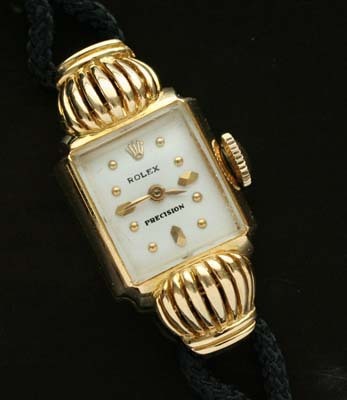 This vintage ladies Rolex cocktail watch is crafted from solid 18 karat gold and features some of the most dramatic lugs I have seen on a Rolex watch. The case has ribbons of gold at each end that rise and fall down to the black corded strap which fits around your wrist. Rolex is a brand known for its conservative designs and this certainly is one of the most artistic efforts I have seen from the Geneva based firm. 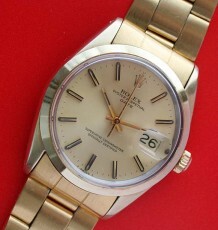 The restored dial features raised gold markers set against a white background with dauphine gold coloured hands. 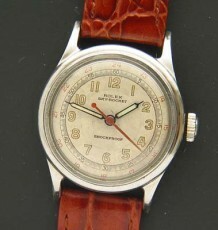 The watch dates to 1953 based on its serial number. 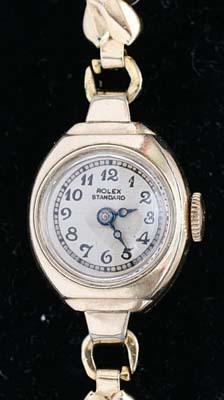 The 18 karat gold case is fully signed with the Rolex logo, hallmarks and the reference number 8272. 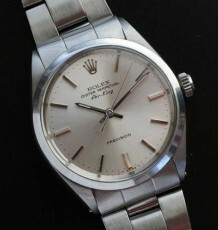 The 17 jewel Rolex manual wind movement was just serviced by my Rolex trained watchmaker and is keeping great time. The case measures 24 mm wide by 28.5 mm long.